Take advantage of these Snowbird Airshow Specials at the conveniently located Harrison Hall and Plim Plaza boardwalk hotels on May 23rd for an event you don’t want to miss! Join us from 2:00 to 4:00pm on 3rd St. for an afternoon of outdoor aerial excitement. You’ve felt the heart pulsing rush of the Air Force Thunderbirds and the US Navy Blue Angels, but now it’s time to celebrate our allied neighbors and their riveting feats as they fly over our resort area for the very first time. Never before have Pre-Memorial Day events had this much to offer, and you’ll want to reserve your oceanside hotel room for the ultimate on location experience. 2018 marks the significant milestone of being the 60th Anniversary of the North American Aerospace Defense Command known as NORAD, a combined air sovereignty operation between the US and Canada. 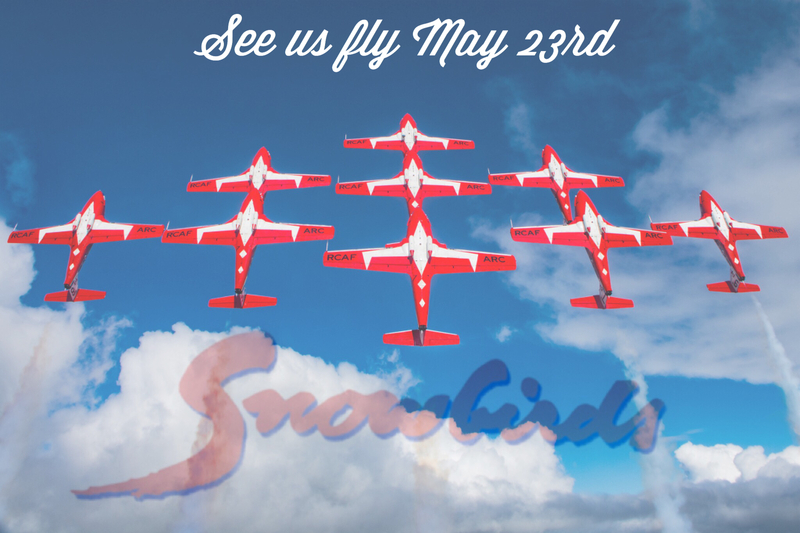 Each member of the Snowbirds are among aviation’s finest, most professionally dedicated individuals in the Canadian military, so be sure to mark your calendars because on Wednesday, May 23rd, don’t miss your premier opportunity to see this incredible Jet Team perform their breathtaking aerobatics in Ocean City, Maryland. Book now at either boardwalk hotel and enjoy front row seats for this thrilling event!